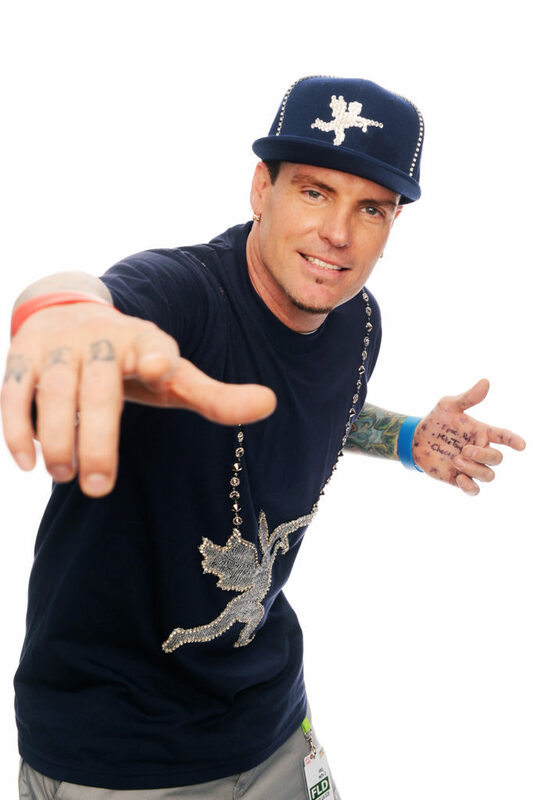 Vanilla Ice, is an American rapper, actor, and television host. Born in South Dallas, and raised in Texas and South Florida, Ice released his debut album, Hooked, in 1989 on Ichiban Records, before signing a contract with SBK Records, a record label of the EMI Group which released a reformatted version of the album under the title To the Extreme. Ice’s 1990 single “Ice Ice Baby” was the first hip hop single to top the Billboard charts. To the Extreme became the fastest selling hip hop album of all time, spending sixteen weeks at #1 on the Billboard 200 and selling eleven million copies. SBK Record executive Monte Lipman stated that he received calls from radio stations reporting over 200 phone calls requesting Ice Ice Baby. SBK wanted Ice on the road as soon as possible. MC Hammer, an old acquaintance from his club days, had Ice on as an opening act on his tour. Ice’s second major release was the live album Extremely Live, released in March 1991. The album was a live recording during Vanilla Ice’s performance in Miami during his To The Extreme tour. Premiering new songs like Rollin’ in My 5.0, Road To My Riches and Satisfaction, the album peaked at #30 on the Billboard 200, but it received mainly negative reviews, with Entertainment Weekly reviewer David Browne calling it “one of the most ridiculous albums ever released”, comparing it to The Best of Marcel Marceau, an album which consisted of two sides of silence opened by brief applause.